When my husband and I became first-time parents in 1991 of our then five-month-old Guatemalan-born daughter, I felt that after the adoption process I was prepared for anything. On our second day home with our baby, I was extremely proud to finally be able to tour our neighborhood with my new baby in her stroller. Mother and daughter at long last. We barely made it around the corner when two ladies ran from their homes to meet Kahleah and to express to their amazement that "from a distance you look like you could be her mother!" I politely told them that I was her mother. They giggled and said, "No, you know what we mean! HER REAL MOTHER!" Ouch. That hurt. Then came the questions. "Where are her parents?" "Are her parents dead?" "How much did she cost?" "Why didn't her real parents want her?" "Can her real parents take her back?" "Will her skin get much darker?" "Why didn't you adopt a white baby?" "How old was her real mother?" "Does she have brothers and sisters?" "Will she ever learn to speak English?" "Will you tell her she is adopted?" "Does she have any diseases?" "How tall will she be?" "Who's fault is it that you couldn't get pregnant?" "Did you try IVF?" "Do you suppose that now that you have adopted you will finally have one of your own?" I wanted to scream, "IT'S NONE OF YOUR BUSINESS!!!!!" Then came the statements. I guess I should have expected them "That's one lucky little girl you have there! Just imagine the kind of life you saved her from." "There is a special place in heaven for people like you." "It takes a special person to parent a child like that." "I never would have guessed that you were not her parents. Why, you treat her just like she was your own kid!" "I would never adopt! You never know what you are getting." 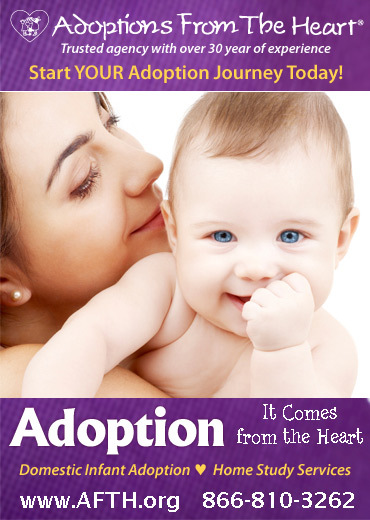 "Adoption is a good cure for infertility! Now maybe you will be blessed with a child of your own!" "Gosh. I hope you know what you are getting yourself into!" Six years ago, I found myself speechless and hurt many times. I was bewildered, frustrated and hurt. What gives people the right to single out my family, in very public situations, and to expect responses to very intrusive personal matters? I just don't understand it. We seem to know enough to not ask people such questions as, how much did you pay for your house? What is your salary? How much did you pay for your car? Further, I would never ask someone how many months they had "tried" before they conceived a child, but they feel that they can put me on the spot and ask me these questions. Now that my daughter is six years old and the proud sister to 3-year-old Colombian-born Tristan, she is an innocent witness to this invasion. She is extremely proud of her little brother and sees him for exactly what he is-her brother. Recently, a man in a shopping center took a long look at me, and then my children, then back to me. With Kahleah standing beside me, listening intently, he asked, "Are they yours?" "Yes." "Are they brother and sister?" My Kahleah put a protective hand on her brother's shoulder and replied, "Yes, he is my baby brother." The man looked to me and said, "They don't look alike, they can't be real brother and sister!" I glanced at Kahleah and then firmly, yet calmly stated, "They are brother and sister." He seemed puzzled and continued with "But they're not blood brother and sister, right?" I realized at this point what was truly important was what my children were getting from the conversation. It was time to end the interrogation. Smiling at my children we proceeded to walk away. I ended the conversation with, "Sir, trust me. They are real brother and sister. Please remember when you engage me in these conversations... I am an adult. I know what you are "trying" to say. My children are young and are listening. The hurt in their eyes is much worse than the pain of skinning their knees or falling off a bike. 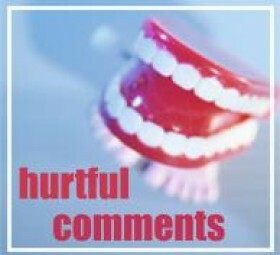 It is much harder to put a Band-Aid on their hearts or self-esteem." So many times someone comes up to my precious children to inform them what a "lucky little girl/boy" she/he is. I am quick to jump in with, "No, it is their father and I who are lucky to be blessed with them!" It is true that not everyone we meet is malicious, but I must be on guard. I used to love when my daughter was a baby and people would stop me and exclaim, "What beautiful black eyes she has! Look at that straight black hair! Nice brown skin!" Although I thought these were positive comments, by the age of four, my daughter had had enough. One day, in our community, after having numerous people make these same observations over and over again, Kahleah buried her face in my stomach, overwhelmed. She said she was tired of people "always" pointing out the same things: her hair, eyes and skin. I realized that they were pointing out her racial differences, and her differences from me, her mother. She was reading between the lines on her own. Maybe this was just her perception, but she was feeling it. I ask you, what child deserves to be made to feel different simply because of race? Or to intimate in their presence that their parents are doing an act of charity by adopting them? My children's birth histories belong to them, and only them. Why can't people accept us as a family, built with love and a lifelong commitment? Is this so very hard to understand? Leceta Chisolm Guibaault lives in Quebec, Canada and is a member of The Federation of Quebec Adoptive Parents. She is a mother of two children - Kahleah born in Guatemala & Tristan born in Colombia.